Bike Lock Manufacturer From Taiwan - Giant Seal « Previous || Next » What's the Best Bike Lock for a Motorcycle? 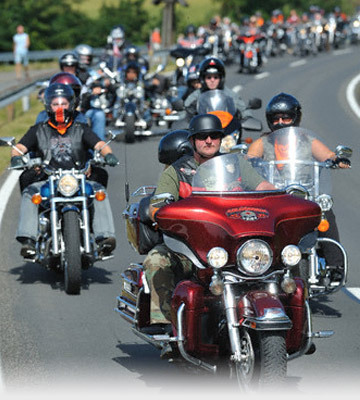 The National Insurance Crime Bureau (NICB) says that approximately 80,000 motorcycles are stolen each year in the United States. LoJack Corporation currently lists that figure at 70,000. Nearly eight motorcycles are stolen per minute, and a bike can be stolen in a matter of seconds. Due to the high stolen rate, bike lock suppliers spend money and time developing bike locks to prevent them from getting stolen regardless locks' strength and functionalities. Therefore having bike locks approved by organizations including Sold Secure (UK), ART (NL), VdS (DE), N.F. (FRA), Classe SRA (FRA) and SSF (Sweden) become more and more important. "Sold Secure" certification is a practical guide for any potential buyer, as to the effectiveness of various types of physical security product such as; disc locks, U lock, padlocks, chains, ground anchors, etc. against likely forms of attack. Sold Secure is a non-profit making organization dedicated to reducing the risk of crime by the assessment of security products. Established in 1992 by Northumbria and Essex Police with the help and backing of the Home Office, it is now administered by the Master Locksmiths Association (MLA) and works from purpose built laboratories. Thatcham provides a unique range of products and services to the insurance and motor repair industries. Primarily, they conduct research and produce data. This data assists in the efficient, safe and cost effective repair of motor vehicles. Thatcham also works closely with vehicle manufacturers to influence the design of new vehicles. Their aim is to improve safety and security. Their research helps produce designs which limit damage, whilst improving the ease of repair following an accident. The AFNOR's core strengths — know-how and expertise — forge a skillset exploited by over 75,000 customers in 90 countries worldwide. The ART foundation has the aim to increase the level of anti-theft prevention of two-wheeled vehicles (bicycles, mopeds, scooters and motor cycles). Anti-theft prevention of two-wheeled vehicles can be promoted by influencing social behaviour, registration and tracing, guarded shelters and anti-theft provisions. In Finland, bike locks that do not carry the VAT logo are not considered effective theft prevention. PZN: Poland Poland's main insurers body. 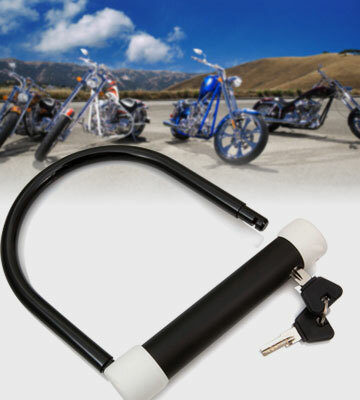 XENA is the first motorcycle and bike lock company to secure PZN testing. Fire detection systems, water extinguishing systems, gas extinguishing systems as well as smoke and heat exhaust ventilation systems, intruder alarm systems, transmission systems, dyeing systems for banknotes, access control systems, video monitoring systems, burglar-resistant facade elements including locks and fittings, high security glazing, products for construction of safes and strongrooms including locks for protection against burglary and theft as well as EMC measurements acc. to DIN EN ISO / IEC 17025. Bike Lock Manufacturer From Taiwan - Giant Seal Previous | Next What's the Best Bike Lock for a Motorcycle?